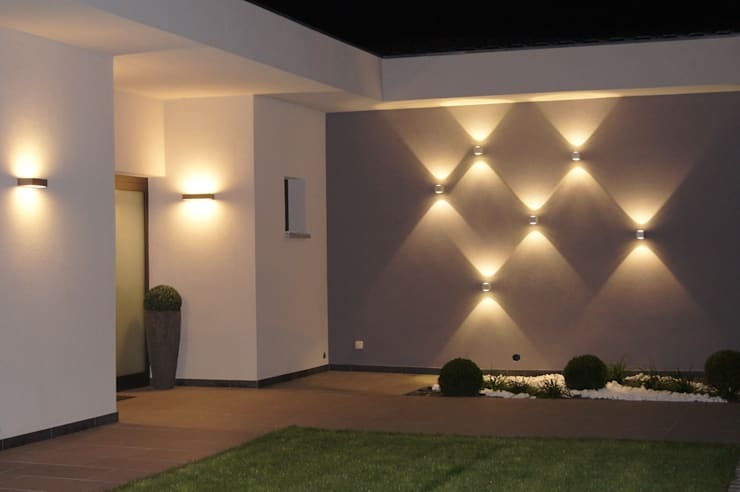 Outdoor lighting can take your home to previously unknown heights of designer delight, as it doesn’t just accentuate the architectural nuances of your property, but also gives oodles of aesthetic pleasure. 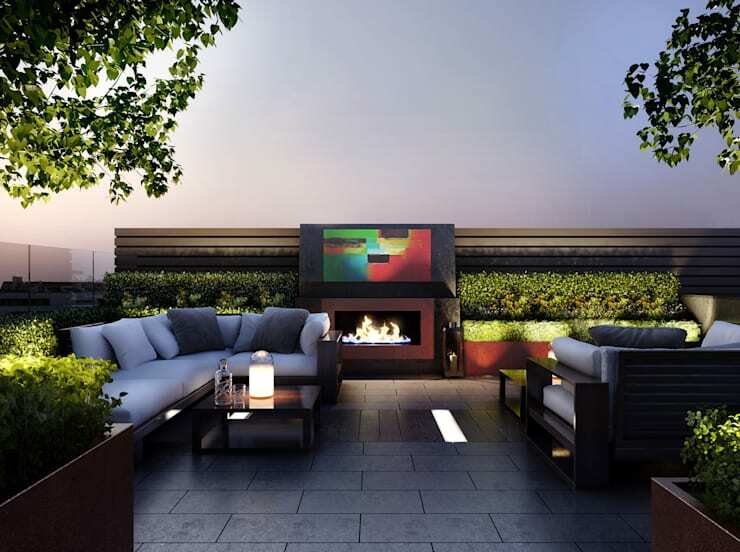 Exterior lights can make your façade, garden, terrace, or backyard glow magically in the dark and entice onlookers. 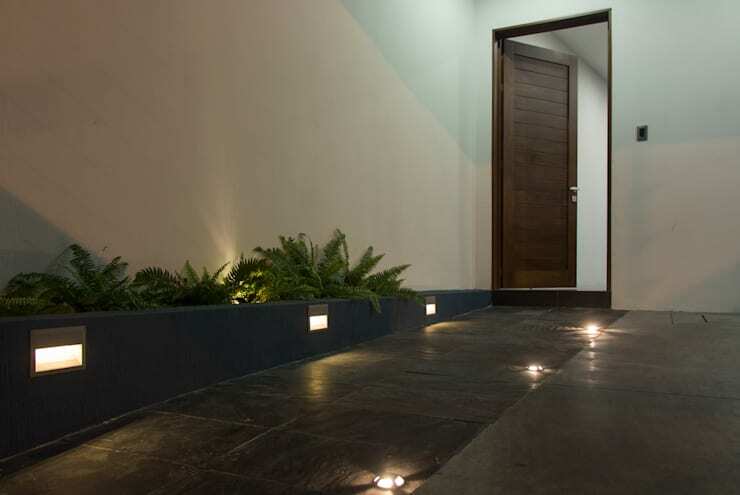 They can illuminate pathways ensuring safety for your family and guests, and also make it easy for you to host open-air parties. 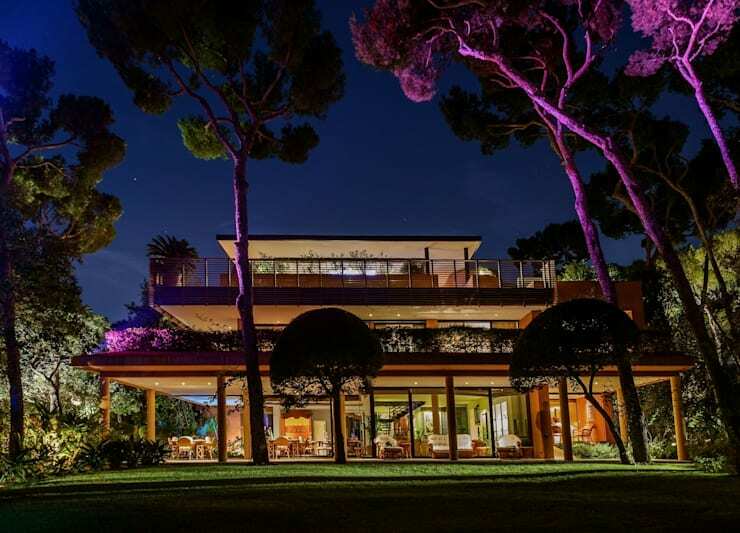 So, check out these 15 striking ideas for stylish and practical outdoor lighting and bid adieu to darkness! 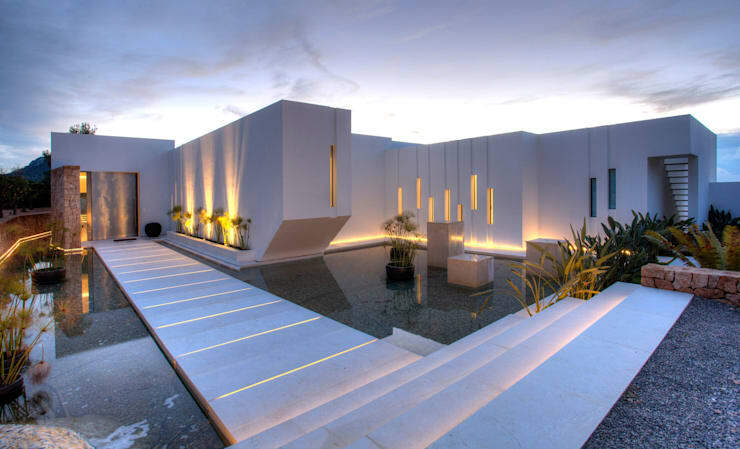 The stone-textured facade is highlighted by these pyramids of light emanating from the row of lamps on top. This is reflected in the pool as well. The simple sconce lights here makes for a play of diagonal lines, forming diamond-like patterns on this plain wall in the backyard. 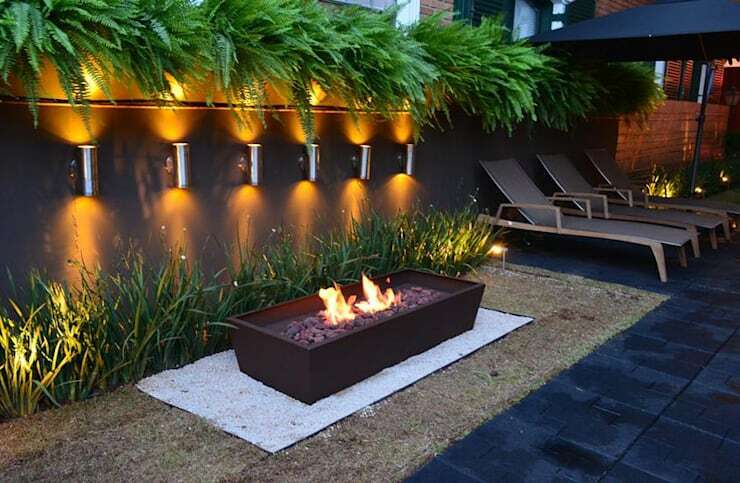 These slim metallic sconce lights and a bed of pebbles for the outdoor fireplace unite to fill this space with warmth and cosiness. This forms the perfect backyard oasis. 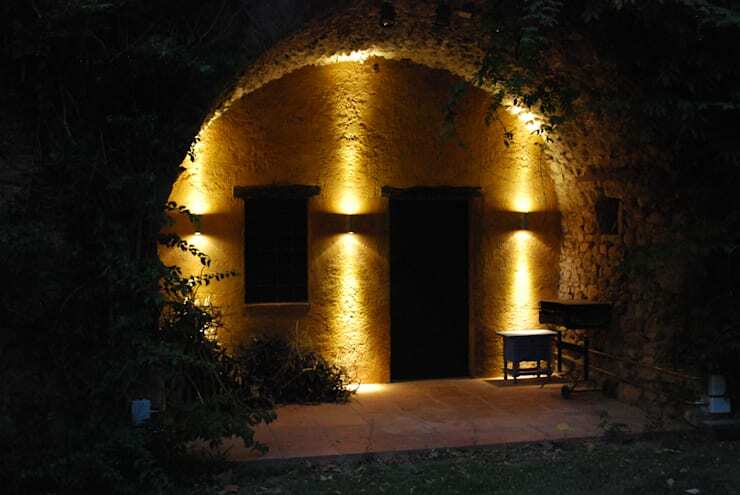 This accent lighting forms a golden arch and shows off the rustic finish of this home. The beauty of this garden is brought out by the colourful beams thrown on the trees and various corners of this expansive space. Credit goes to the lighting professionals at Artlight Design. The globes of light hanging down from the pergola roof create a pretty dining nook in this scenic garden, amidst its delicate foliage. This open space has layers of lighting placed at varying heights, highlighting the design details like the seating, flooring and table. The approach here has been done up in a pretty way with simple LED lighting on either side of the pathway. 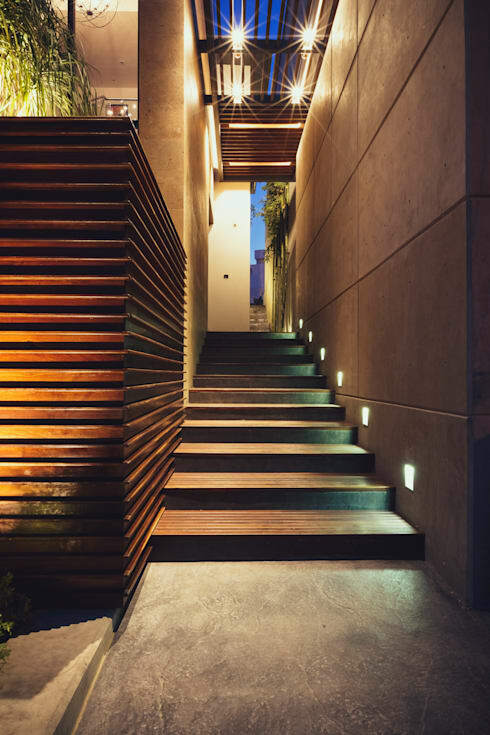 The style factor has been ramped up for this stairway, with a row of lights ascending above the incline of the steps. On the ceiling, lighting shines down to highlight the linear wooden contours of the area. 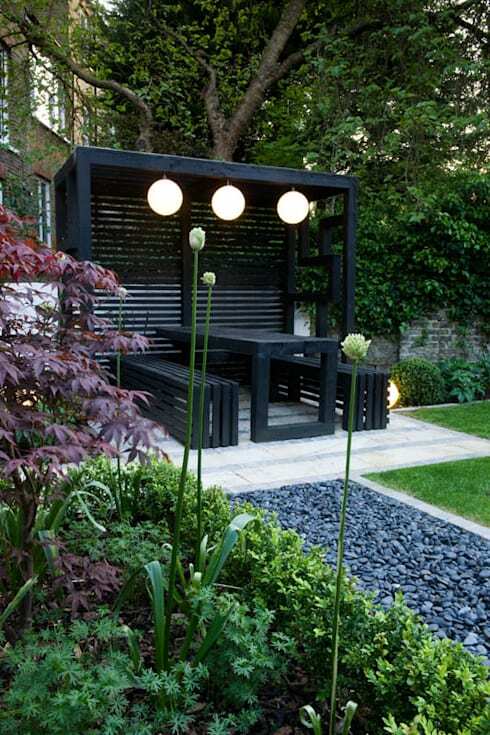 A well-lit nook has been created here with concealed lighting and an L-shaped bench, as well as the large planters on each side. 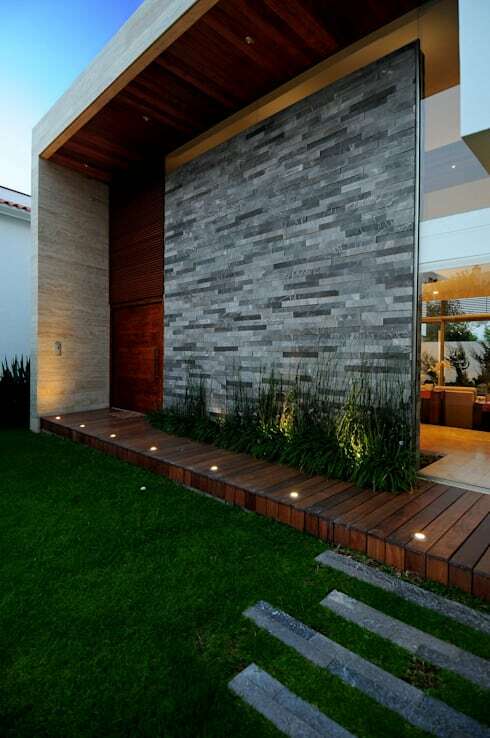 The facade here is magically lit with a combination of recessed and concealed lighting. They reflect enticingly on the gleaming floor as well. 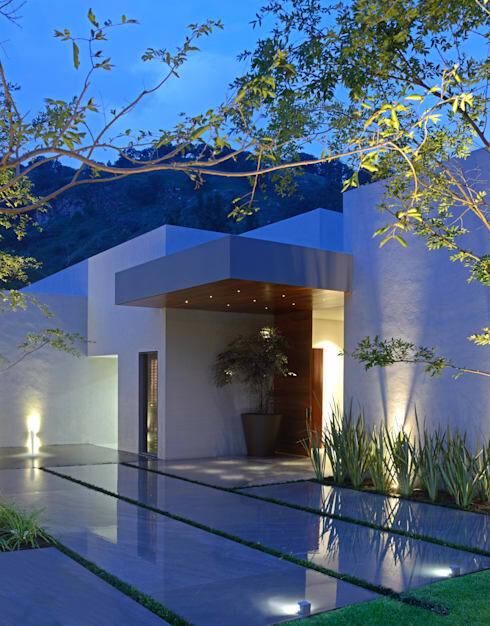 A blend of sconce, concealed and accent lighting has been used artfully to help this majestic facade stand out. The pool adds to the glorious visual impact here. 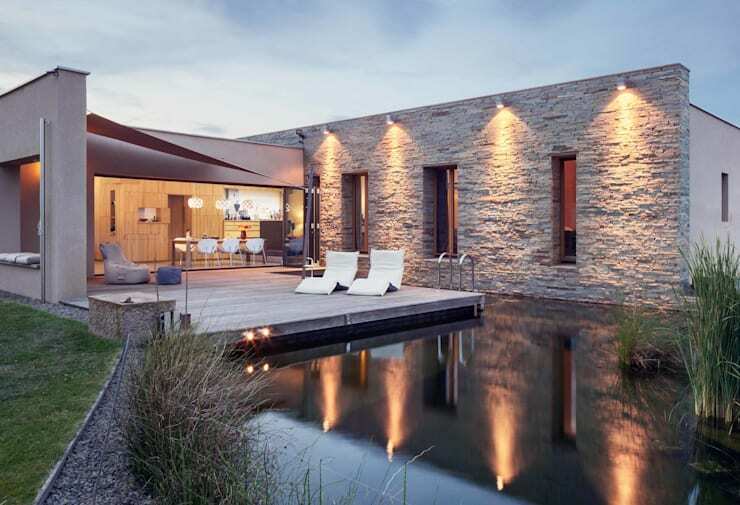 The view here is a combination of wood, stone and glass while greenery and lighting is tucked into the right corners. 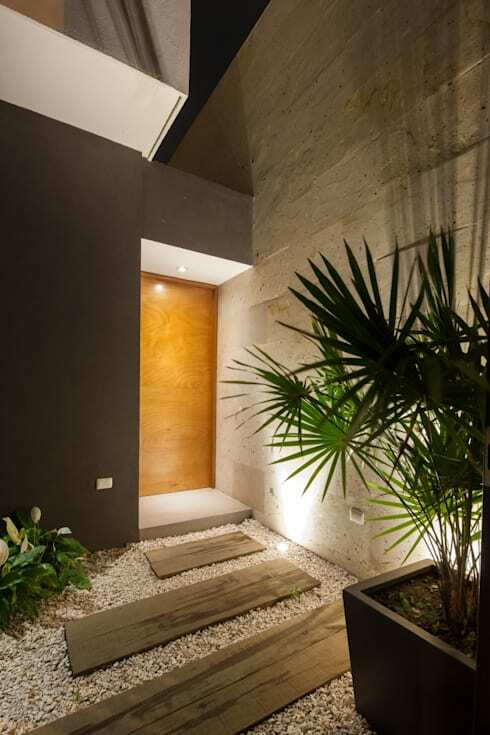 The repurposed wooden planks, as well as the pebbles and palms, make this the perfect spot for focused lighting to rest on the entrance door. 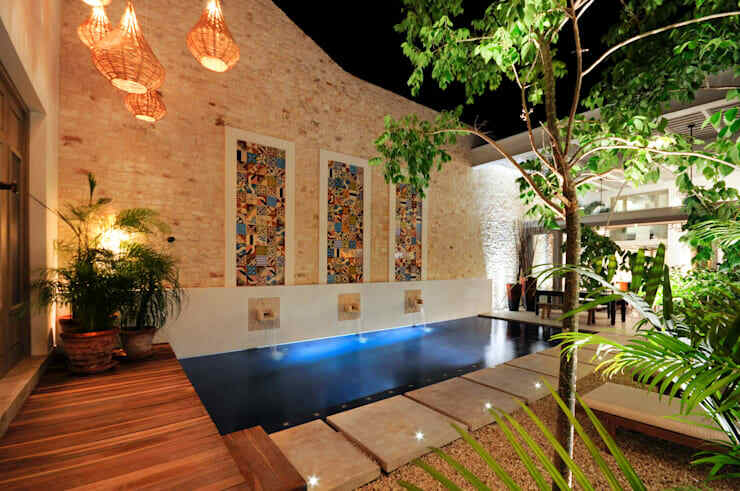 The poolside here is done up with robust wood and colourful mosaics. The hanging lamps and concealed lighting create a wonderful ambiance. Inspired by these gorgeous ideas? Here's another story you'll enjoy: 12 of the most beautiful light features we've seen. Which of these lighting ideas are you keen to try?